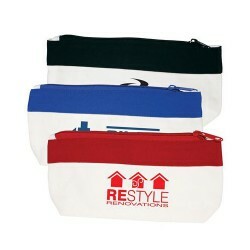 Printed promotional pencil cases complement pen giveaways perfectly. These custom printed pencil cases can also hold other items such as a small notebooks, printed erasers and even cosmetics. 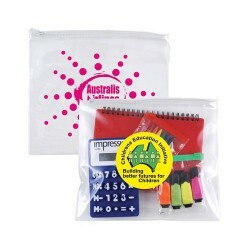 Choose from many different sizes and styles including pencil cases with calculators. ACE knows how important it is to establish brand recall, and handing out these promotional pencil cases during tradeshows is also a smart move. 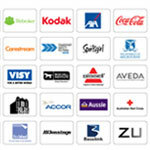 Browse our extensive collection and find the one that fits your needs and budget. Bamboo pencil case, Includes: bamboo sharpener, 3 pencils made from recycled paper, eraser & ruler, Ruler doubles as the lid, Supplied in recycled box. 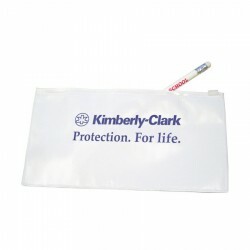 Pencil case with white one side and clear other side. 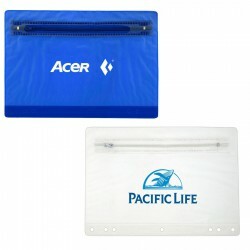 Clear PVC case with White zip closure. 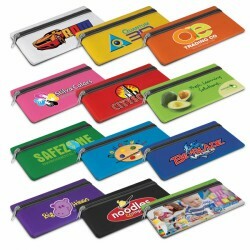 Use to hold kids items, stationery, cosmetics, odds and ends, first aid items, sample collections, labels, coupons, etc. Large reverse print areas or fine type not recommended. Multicolour prints available ex overseas factory. 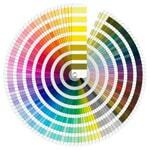 Colours: Clear/White﻿. 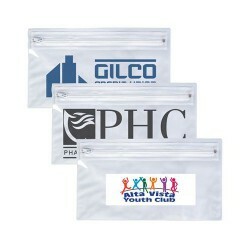 Large clear PVC pouch with zipper. 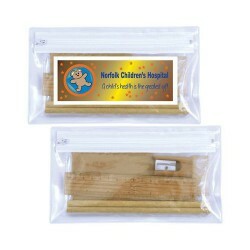 Great for kids items, stationery, cosmetics, first aid items, medication, sample collections, labels, coupons, computer cables. Zippered PVC pencil case with solar eight digit soft touch calculator. 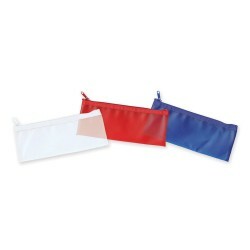 Ideal for stationery, coupons and receipts. 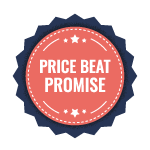 Use to hold kids items, stationery, cosmetics, odds and ends, first aid items, sample collections, labels, coupons. computer cables. 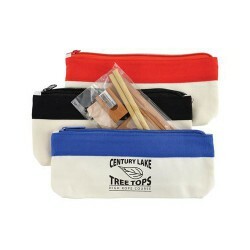 Bamboo stationery set containing a 20 sheet notepad, bamboo pencil sharpener, two timber pencils, erasers and bamboo ruler. Eco friendly as Bamboo is plantation gown, no chemicals or fertiliser used in growing. Packed in Cotton / Canvas Organiser / Pencil Case with Zipper. 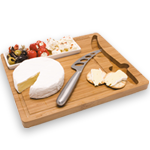 Set contains notepad (20 sheets), bamboo pencil sharpener, wooden timber pencils, eraser and bamboo ruler. Eco friendly as Bamboo is plantation gown, no chemicals or fertiliser used in growing. 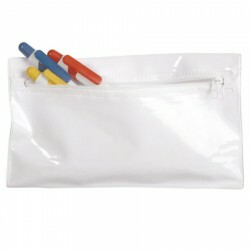 Packed in PVC Pencil Case With Zipper. This case is ideal for make up or pens and pencils. Coloured case with single pen loop. 100% organic cotton, Derived from fair trade organic yarns, Manufactured in a socially compliant environment, Zippered main & side compartments.